Bethlehem = Hebrew: בֵּית לֶחֶם‎ Bēṯ Leḥem, Modern: Bet Leḥem [bet ˈleχem], lit. "House of Bread"; Arabic: بيت لحم‎ About this sound Bayt Laḥm, lit. "House of Meat. Jesus was born in Bethlehem, meaning the "house of bread" (in hebrew), or the "house of meat" (in arabic). 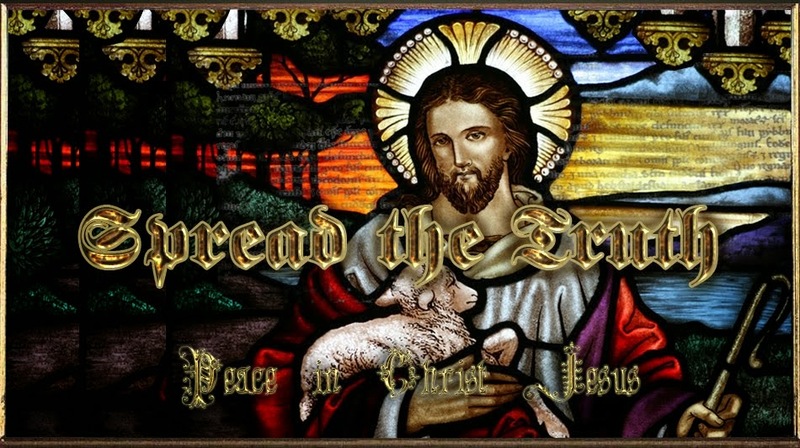 So the Bread of Life, CHRIST, was born in the House of Bread. Pay attention to details, because GOD's WORD is precise and detailed. Psalm 50:16 "But unto the wicked GOD saith, What hast thou to do to declare My statutes, or that thou shouldest take My covenant in thy mouth?" Psalm 50:17 "Seeing thou hatest instruction, and castest My words behind thee." If GOD is Number 1 in your life, you will eat the WORD. You'll fill up on the WORD, and it's so good, that all you want to do is share it. Christ is the Light and that's what you share. What He tells you in the darkness of this world, you speak it in light. You feed your spirit with the Living WORD, Jesus CHRIST. For in The Beginning was the WORD (JESUS) and the WORD was with GOD, and the WORD was GOD. Your daily bread is the Bread the Life, the WORD of GOD, which feeds and nourishes the spiritually meek and hungry. So sit down to meat at the LORD's table, and drink from the cup of the LORD, that runneth over with Truth. Be generous with sharing His WORD. Generosity should not be limited to yourself and your immediate family, because that would be selfish, cliquish, even greedy. Jesus said to love thy neighbor as thyself. Matthew 4:3 "And when the tempter [satan] came to Him [CHRIST], he said, If Thou be the SON of GOD, command that these stones be made bread." The temptation in the wilderness occurred at the very beginning of Christ's ministry and our LORD fasted for forty (the number "40" represents probation) days and nights. You spent approximately 40 weeks inside your mother's womb, in the water sac, upon being birthed as a crying baby into this flesh world. The system that you're born into is called the matrix, which means womb (rechem), for that's where conception takes place. This first probationary period is outside of your control, but the second probation, as a Christ man in the wilderness is based on your faith, decisions and actions. Your biggest trials happen in the beginning of your journey as a CHRISTian, just like the temptation in the wilderness occurred at the beginning of CHRIST's ministry. Jesus showed us how to get things done our FATHER's way. So the very first lesson CHRIST teaches during His ministry is to eat and live the WORD. Just like eating... studying our FATHER's Letter to You should occur daily. Christ cannot be tempted. The trial in the wilderness was an ensample of what to do and expect, as a Christian, living in satan's world system. Satan knew who CHRIST was (YAHVEH'S SAVIOR THE ANOINTED ONE) and so do all of the fallen watchers and evil spirits. Satan also knew that CHRIST's physical body was hungry after fasting. In Matthew 4:3, the devil's saying, "You're the SON of GOD. Make these stones into loaves of bread." Satan is the prince of the power of the air, or of this material world. As the counterfeit christ, the devil promotes everything carnal and flesh as being more important than what's spiritual. The temptation in the wilderness, with Christ, happened because the Israelites couldn't pass the test, coming out of Egypt. They were fed by GOD, yet disobedient to Him, but Christ hungered and was obedient, doing everything perfectly. The tempter, satan, wanted to know if Christ would put carnal health before spiritual health. If Christ did, which of course he didn't, it would have been contrary to the WORD of GOD. Did you get that? He that doeth the will of the FATHER abideth forever. Being a hearer only doesn't cut it. You must apply what you've learned. Many Christians fail to even learn the meat of the WORD, because they allow themselves to be bottle-fed with fables and watered down doctrines, processed by the hands of men. If you don't care enough to want to know what was the real sin in the Garden of Eden, then you don't care about Truth as much as you think or claim. It's the first major story in the Bible and if you can't get it right, you won't understand the rest of it as a unit. 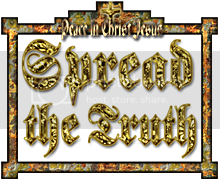 Mark 4:18 "And these are they which are sown among thorns; such as hear the Word,"
Mark 4:19 "And the cares of this world, and the deceitfulness of riches, and the lusts of other things entering in, choke the Word, and it becometh unfruitful." When a person puts himself, or the world first, he becomes deluded by the very things that he cherishes or places before ALMIGHTY GOD. The hearer only crowd becomes double-minded, when they accept the precepts of men and the knowledge of the world over GOD's WORD. Their works become reprobate, meaning rejected by GOD. The devil will try to take you through the wide, or fabricated, path, which is filled with the carnal cares and ways of this world. The double-minded, lukewarm believers never pass probation. They just accepted satan's bargains during their trial in the wilderness. They call evil good and good evil, choosing the way of cain, and praising satan's children as the chosen people. The blind and indoctrinated believe that these khazars, kagans (cai-gans - kings of khazars), and fake israelites are God's chosen. But their god is satan, a counterfeit, who runs this world system through his seedline, a secret cabal (from the word "cabala") that follows the tradition of the elders. Deuteronomy 8:2 "And thou shalt remember all the way which the LORD thy GOD led thee these forty years in the wilderness, to humble thee, and to prove thee, to know what was in thine heart, whether thou wouldest keep His commandments, or no." Pass probation. The fiery trial will refine you and try you like gold, if you're of the third part, or remnant and elect of GOD. If you're going to be a servant of our Heavenly FATHER for eternity, He's going to prove thee, so that He knows you can be counted on. The ensample and lesson that Christ taught, in the temptation in the wilderness, was for you to live His WORD. It's your owner's, or instruction, manual for Life. Christ cannot be tempted; he was showing you how to get things done. John 6:48 "I Am that Bread of Life." John 6:49 "Your fathers did eat manna in the wilderness, and are dead." John 6:50 "This is the bread which cometh down from heaven, that a man may eat thereof, and not die." Angel's food can sustain an angelic body, and even a flesh body. Yet, the ancient fathers ate manna in the wilderness and died. The flesh body will fade like a flower and wither like the grass. Eat the Bread of Life and you will live forever. The WORD was made flesh and dwelt amongst, and He gave His flesh, meaning Himself, to bring salvation to the world. When you partake of that flesh, the WORD, you'll never die. The WORD will give you the answers, wisdom and knowledge to serve the Living GOD, and to become successful with His blessings. The WORD teaches you how to please Him and to live life with purpose. The hidden manna, or meat, is within the WORD of GOD and it's the key of David (the master key from the master key holder, Christ) that opens all doors to truth, unlocks the parables, and understanding of the two genealogies, or seedlines. You lay up His words by being both a hearer and doer of the WORD. There's no other way, unless you have a disability that keeps you from performing those tasks. You don't do as some religious pigeons do and take these words in the carnal sense, meaning literally. What's behind the eyes and forehead? Your mind. Your hand represents your actions. Deuteronomy 11:19 "And ye shall teach them your children, speaking of them when thou sittest in thine house, and when thou walkest by the way, when thou liest down, and when thou risest up." This means to live and apply the WORD in all that you think and do, all day, everyday. Regardless of a good or tough day, do you still eat, sleep and brush your teeth? If you do, than you certainly have time to talk to your FATHER and spend time in His Letter. You're to also teach your children about Passover and holidays such as Thanksgiving and CHRISTmas. Not halloween, easter or other pagan traditions. To be spiritually awakened, morning by morning, takes study, discipline, practice and consistency on your part. You need to feed your spirit, because focusing on the ways and cares of this world will dim your spiritual eyes. In the hebrew language, the word for "in season" is "ooth", which means to hasten, or to apply and deliver the WORD on time. When you lay up His WORD in your heart and soul, you can react to situations instantly. For example, a professional fighter doesn't have the time to go back into an instruction manual, in the middle of a fight, when he forgets a move or technique. It just doesn't work that way. The devil's not stupid. To you, the devil's style of assault may appear chaotic, but it's not. His style is very calculated and technical, brutal and cunning. He has many methods of attack. The hearer only believer never fights. He's only well-read in fighting, and has heard multiple stories, from fake fighters out to make a name for themselves. Many things are easier said than done. You may know or memorize a technique, but if you never get to practicing and doing it, you won't be able to execute it properly and at the right moment. And so, today, we have many pretend Christians that just sit, and listen, but never do. Real fighters are humble, because the entire process is a humbling experience. Yet, there are no supermen and without Christ, the devil will beat you every time. So who do you want on your side?